Having grown up in New England I am a self professed seafood snob. Every weekend I’d be at the beach in Maine with fresh seafood right off the boat only a few minutes away. Cousins on my mother side own lobster boats and every meal my family has out is usually seafood. 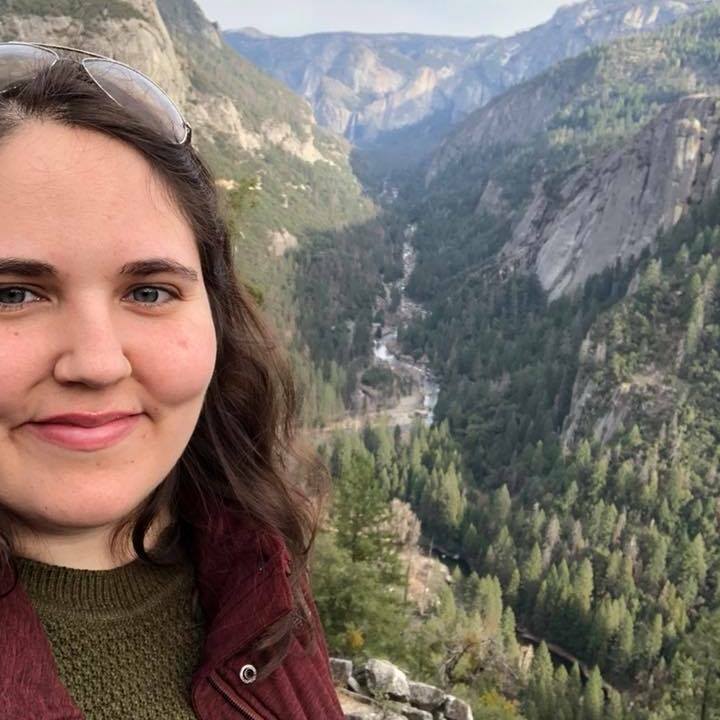 So when I moved to San Francisco it was a big change. This is another seafood heavy city, but all of the varieties are different so at first I was at a loss. Thankfully staples like shrimp are easy to find and even easier to cook with. 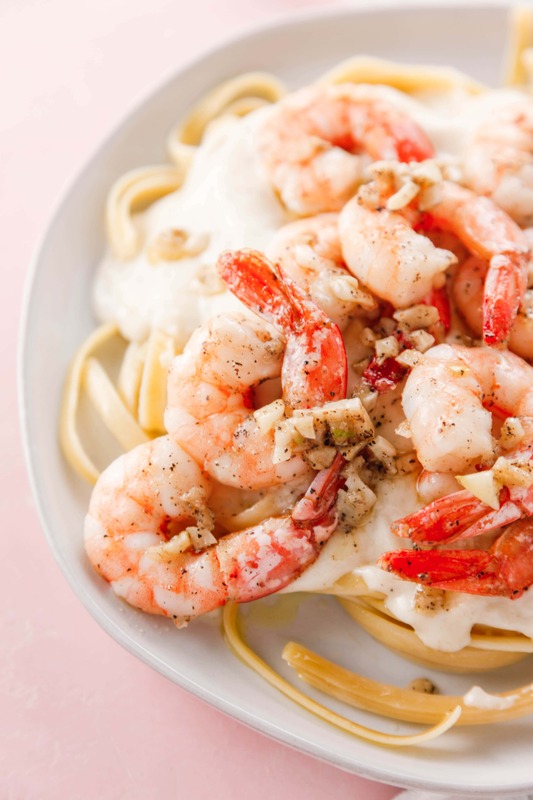 I made a Shrimp Fettuccine Alfredo recipe recently and am so excited to share it with you! I’d like to think of this as a back to basics recipe. It’s no frill, it’s a classic, but it’s so good that it’s worth making time and time again. There’s many variations to alfredo and I’ll probably explore some of those soon but I was really happy with how this sauce came out and wanted to share that on it’s own. 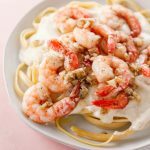 If you like this recipe, I’ve made several other variations of alfredo dishes such as Broccoli Alfredo, Chicken Alfredo and Tortellini Alfredo which I’m sure you’d love as well. 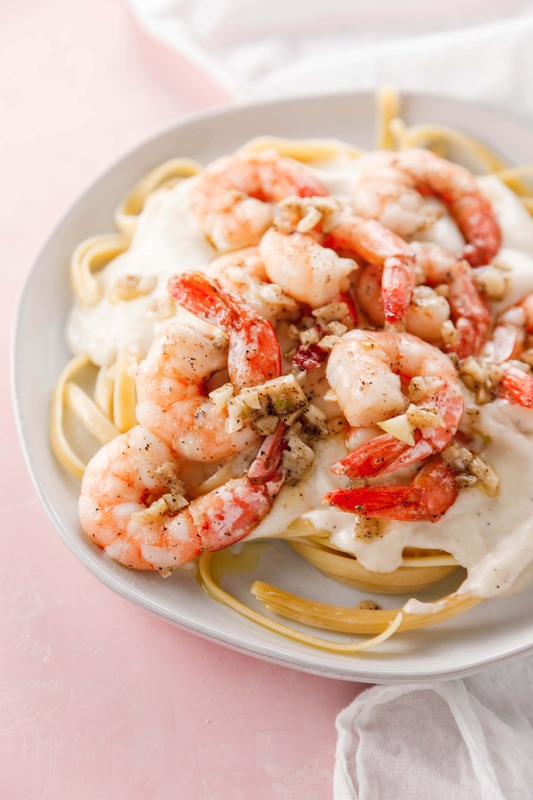 Bring date night home with this Shrimp Fettuccine Alfredo recipe. 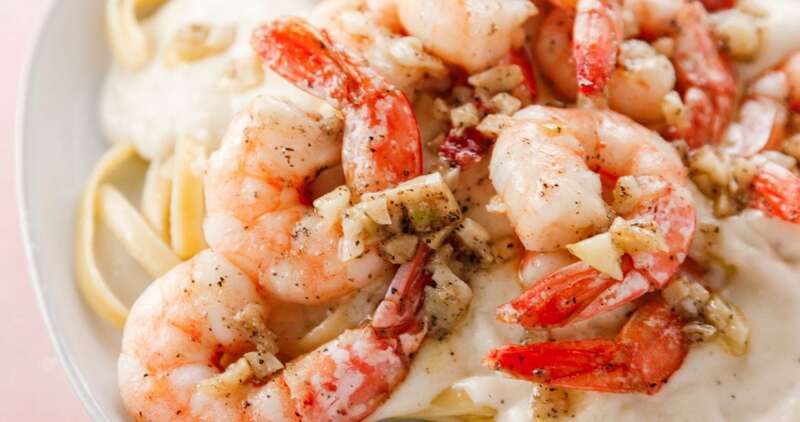 Creamy alfredo and sauteed shrimp make fore the best meal. 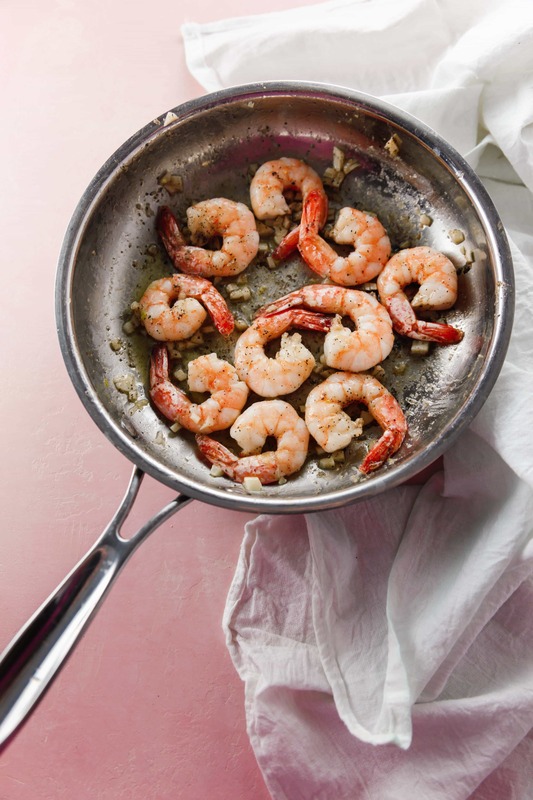 In a saute pan, add olive oil and shrimp. Cook until shrimp begin to turn pink, then add in the garlic. Continue to cook until shrimp are fully pink. Serve on top of pasta and alfredo sauce and enjoy!